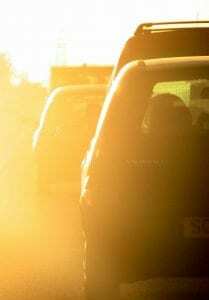 As the temperature soars outside, you need ways to negate the heat simmering in your parked car. A parked car’s temperature can soar rapidly, but there are ways to stop the temperature from reaching molten levels. Shaded parking spots are highly coveted in the summer, but the search is worth it to keep your car’s interior cooler. Crack your windows enough to let air ventilate while parked, but not so much that people can reach in and grab your stuff. Remember, a car parked under a shady tree may wind up with some extra “decorations” from birds. Sun shades placed under the windshield can do wonders. Blankets or towels draped over the seats may keep them cooler since the sun won’t be beating down on the seats. Experts suggest you wipe down the steering wheel and safety belt buckles with a wet washcloth when you get in. The water evaporates quickly and releases some of the heat. This avoids the steering wheel being too hot to touch or the buckles burning your hands. Tinted windows can make a big difference. Park away from the sun. Keep your AC in tip-top condition to cool things down once you start your car. Temperatures rise rapidly in parked cars, so never leave pets or kids in them, even if the windows are cracked.